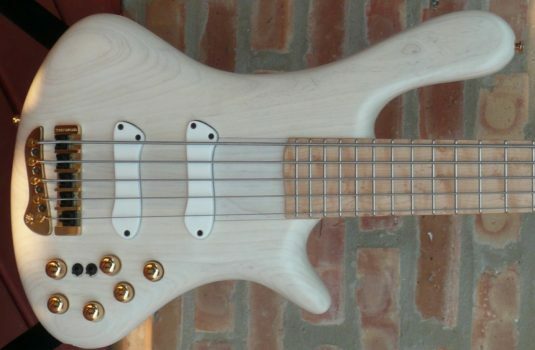 I do not need to tell you which bass served as the the inspiration for this bass. I’ll tell you anyway. 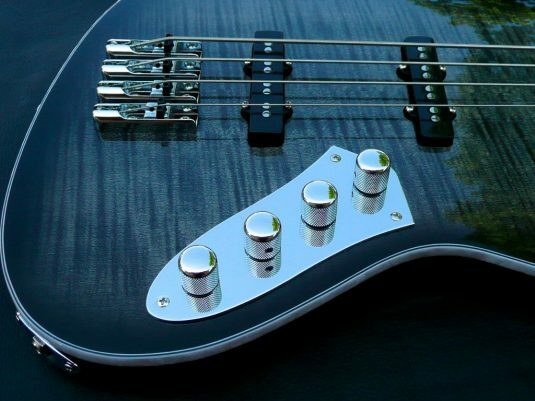 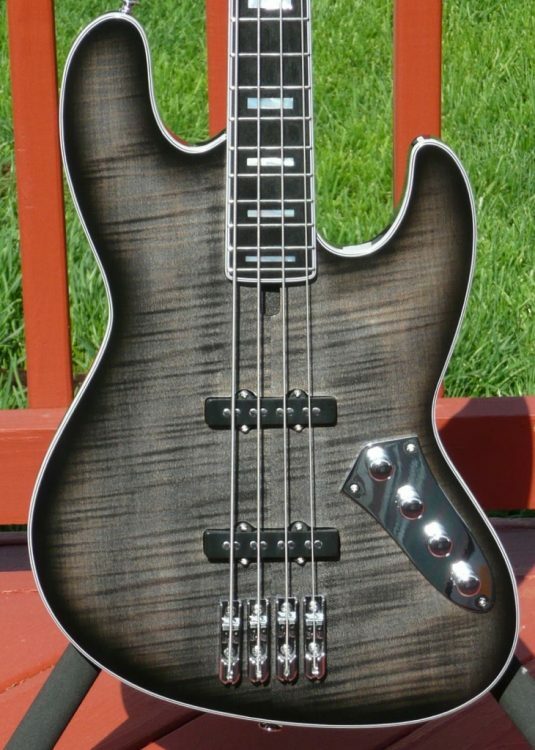 The Elwood Absolution is a well dressed and modern cousin of the traditional Jazz Bass design. 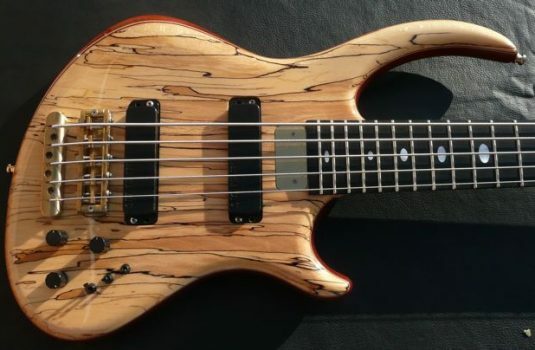 For many players , for many years , the JB design has worked. 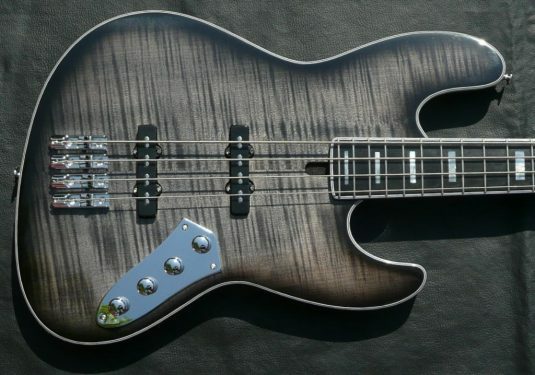 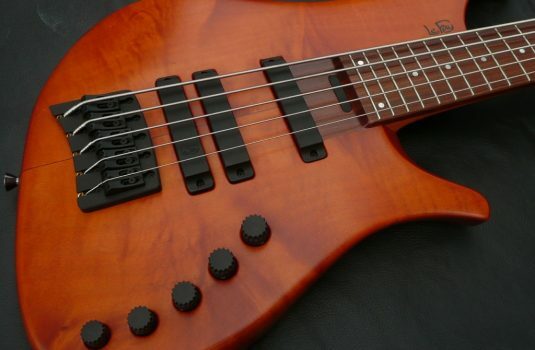 Rather than be a clone of a trad JB, this bass offers a new voice. 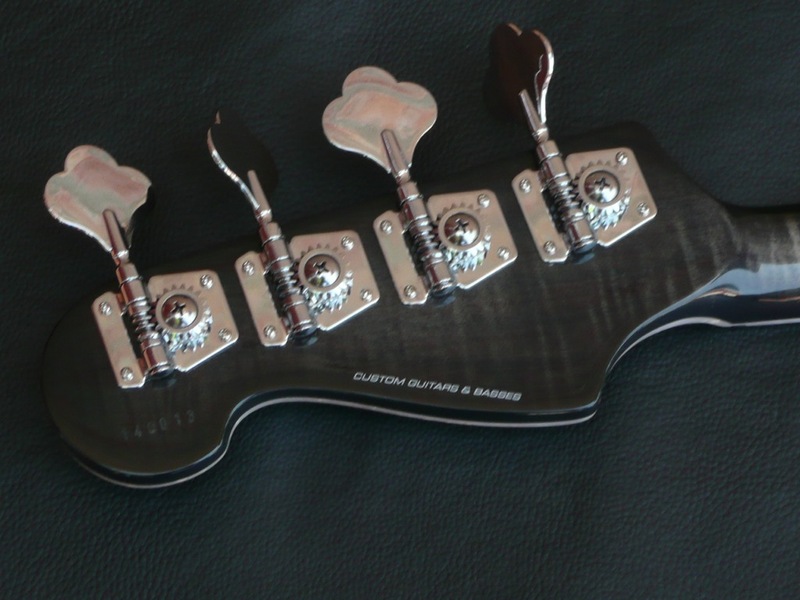 The active / passive switch virtually gives you two very different basses. 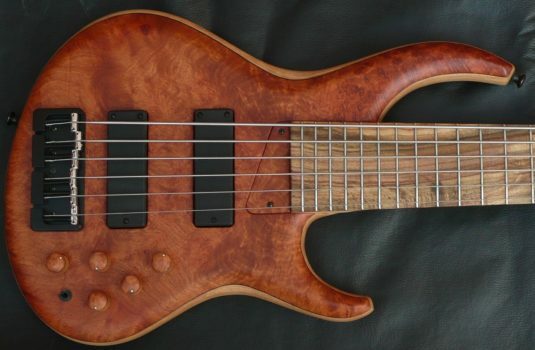 Alder body , 9lbs, 6oz.